Discount available! 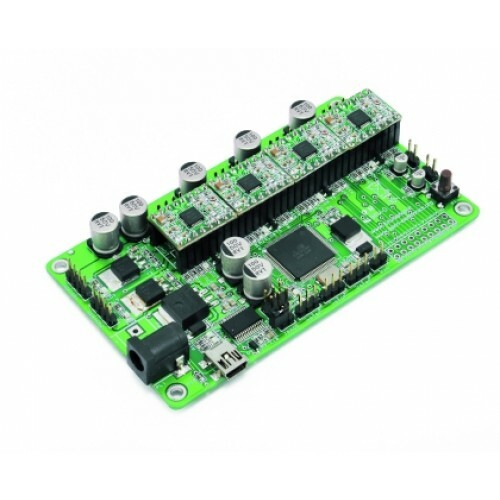 Recommend 3D printer controller (without driver) to your friends and get your Discount. 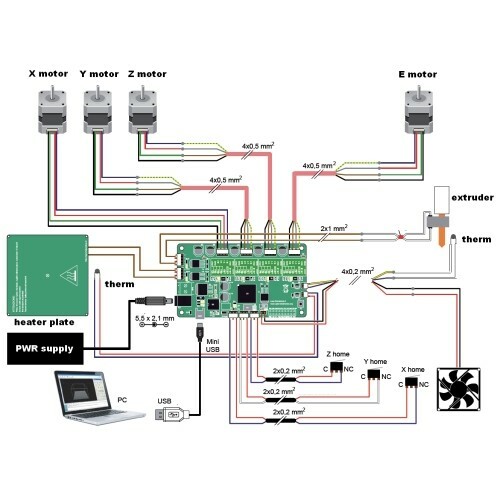 Based on the ATmega2560 microcontroller, allows you to manage four bipolar stepper motors to drive the mechanics of a 3D printer (X, Y, Z and a fourth motor for the extruder), the heater of the extruder, the heated plate and a fan. Also provides two inputs to read the temperature, a converter USB/serial port for interfacing the ATmega with the computer, an ICSP header, three inputs for limit switches (XSTOP, YSTOP and ZSTOP) and various status LEDs. 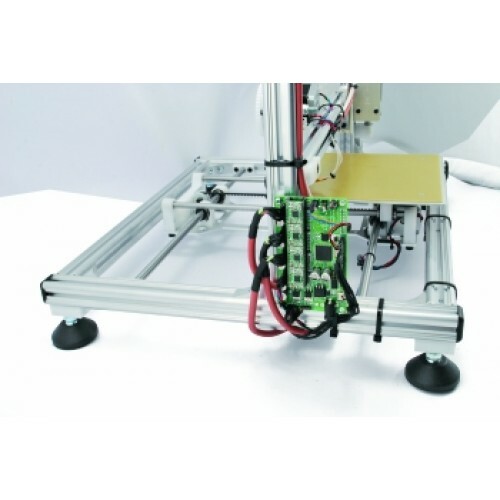 It can be programmed directly from the IDE Arduino, taking advantage of the large amount of firmware and libraries that the RepRap community exchanges and updates daily on the web. The microcontroller ATmega2560, supplied with the firmware Marlin Erik van der Zalm properly configured to drive our electronics, is able to accommodate the Flash reserved for the program (256 kB) more lines of code, enabling you to implement more functionality than typical control card for 3D printers available on the market. It's possible to connect 2 steppermotors for the Z-axis. For the power supply can be used one of those AC / DC adapter for laptops that provides 15 volts DC and a current of the order of 4 amps if you do not use the heated plate and at least 8 amps if it adopted the plate. The board is supplied assembled and ready to use instead of Sanguinololu. This version It doesn't include 4 driver modules. 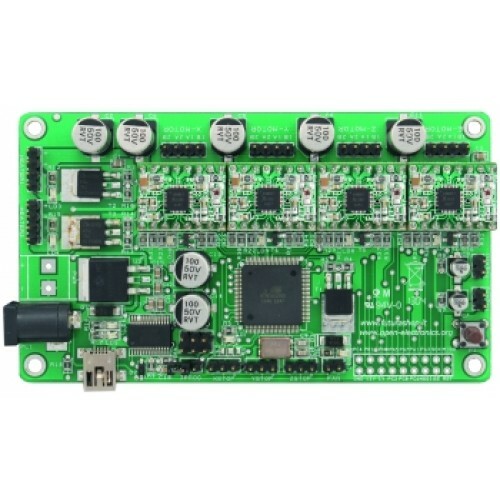 Based on microcontroller ATMEGA32U4, this module is capable of driving two DC motors or .. 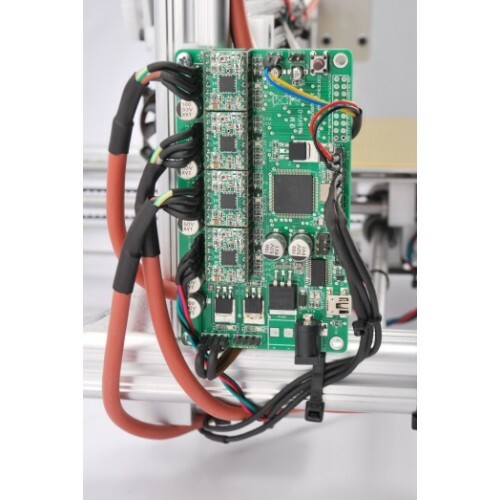 The DRV8825 stepper motor driver carrier is a breakout board for TI’s DRV8825 micro stepping b..